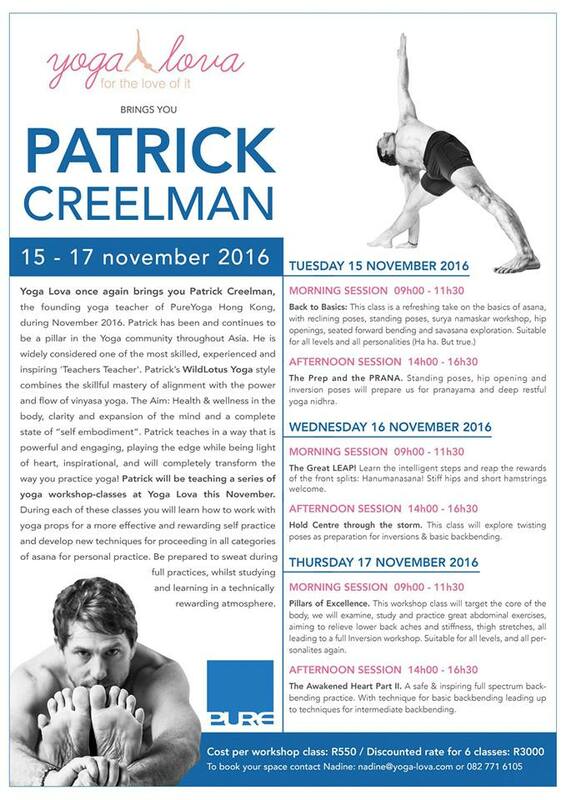 Only a few places left for Patrick Creelman’s WildLotus Workshop classes that are taking place at Yoga Lova from 15th – 17th November 2016. You do not want to miss this incredible opportunity to experience a worldclass Master teacher on our doorstep! Email hurwitz@worldonline.co.za to secure your space!